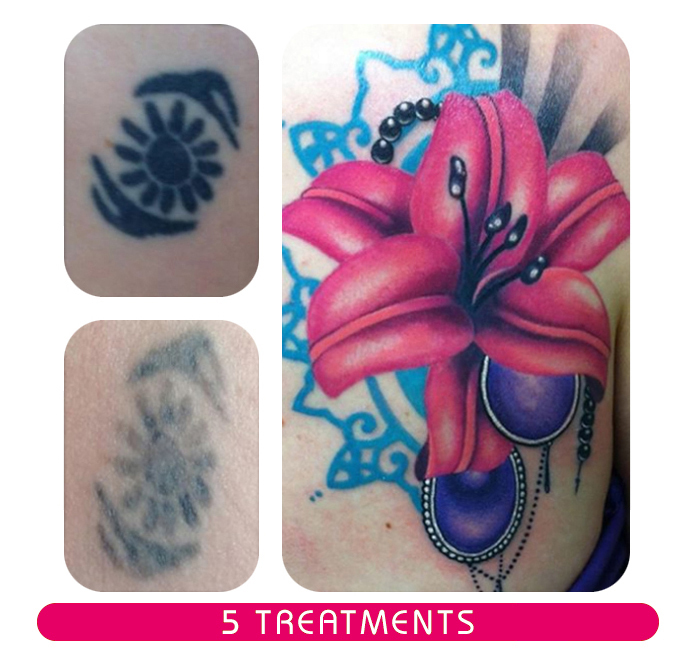 Every tattoo is different and each one will have its own individual response to treatments for a wide variety of reasons. See below to see some examples. 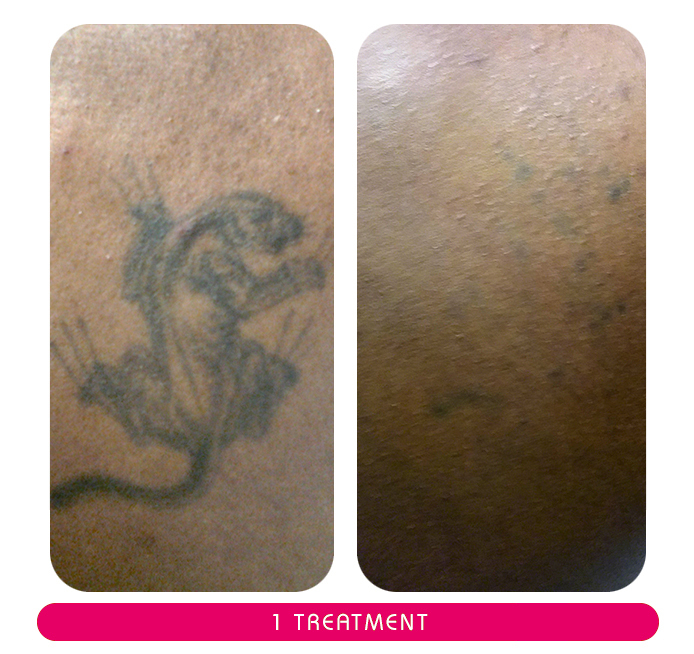 Complete removal is not always possible in every case, but significant lightening is. 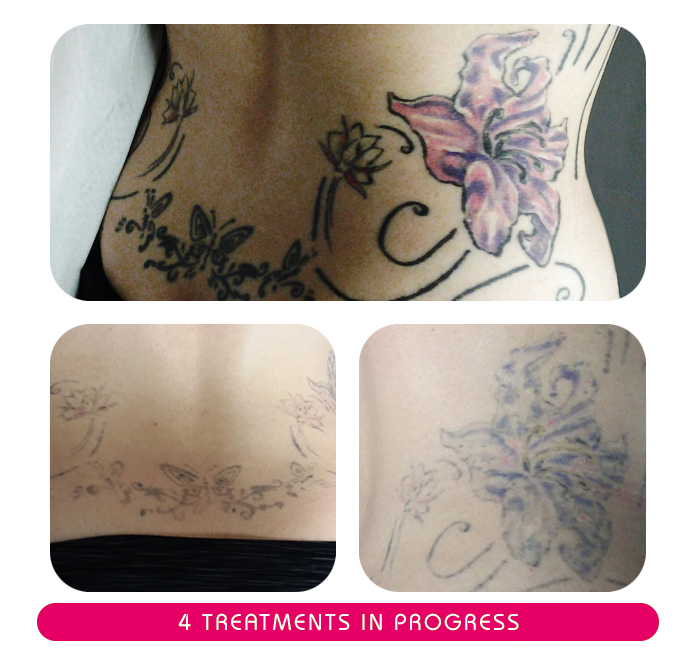 It is almost never a one time treatment and there is a definite time commitment. 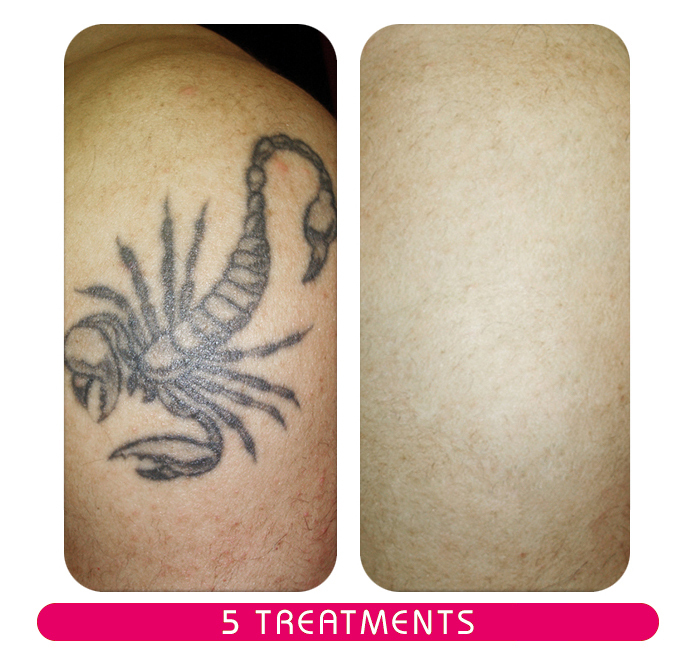 Laser tattoo removal is not an overnight solution, but it is the most effective one.